Wintertime in Northeast Ohio is truly an unusual season. 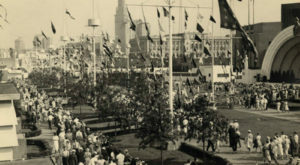 There are months that bring hardly any snow, and every so often temperatures will soar above 60 degrees on an unexpectedly sunny day or two. Lake effect snow often wreaks havoc on the region, but it also frequently holds off and occasionally brings us a mild winter. 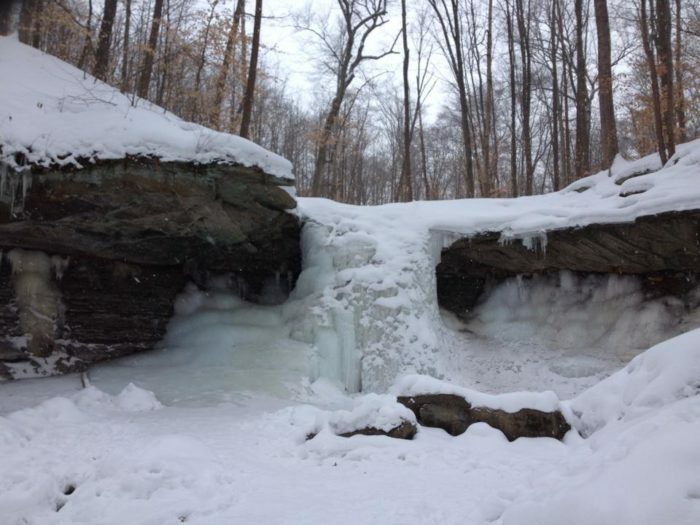 Though each season varies, you can almost always bet that winter will bring a special sort of magic to Cuyahoga Valley National Park. 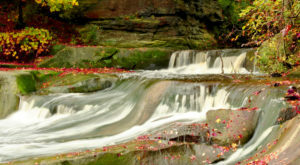 Fed by the flowing waters of Spring Creek, this gorgeous 15-foot waterfall can be found near 2001 Boston Mills Rd. in Brecksville. ...Except for when it's frozen solid. 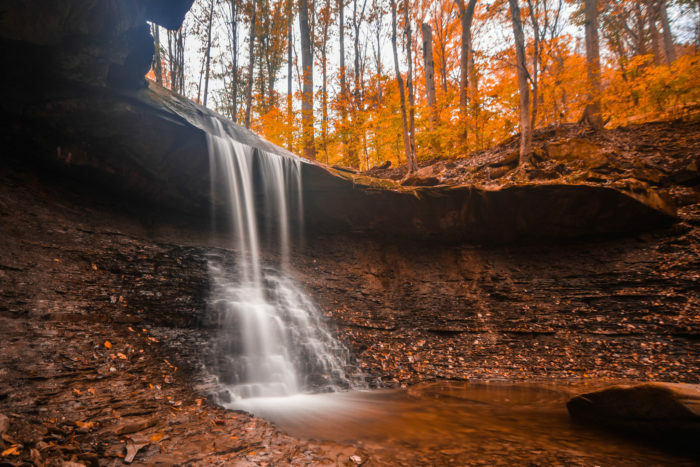 Nestled against Berea Sandstone and flowing onto Bedford Shale, this normally veil-like waterfall freezes in a finely chunked pattern that leaves visitors in awe. This waterfall is amazingly easy to get to; the access trail is less than half a mile in length. 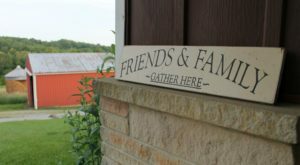 This pretty spot is adored by families and photographers alike for its ease of access and glorious surroundings. However, strolling to this site and looping back to the parking lot could take more than 40 minutes, so be sure to bundle up. 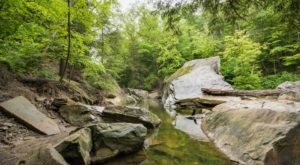 The gorgeous nature of this scenic spot draws in all sorts of visitors, and you'll doubtlessly want to linger in its charming little gorge. 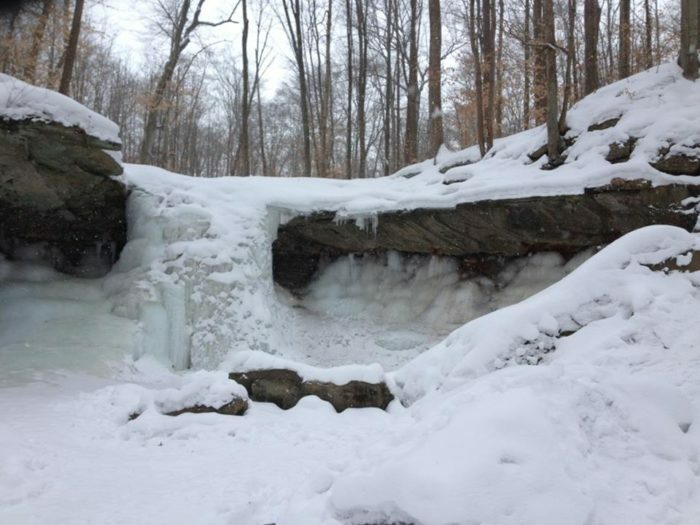 Bring gloves, a scarf, and something to keep you hydrated along this wintry hike. 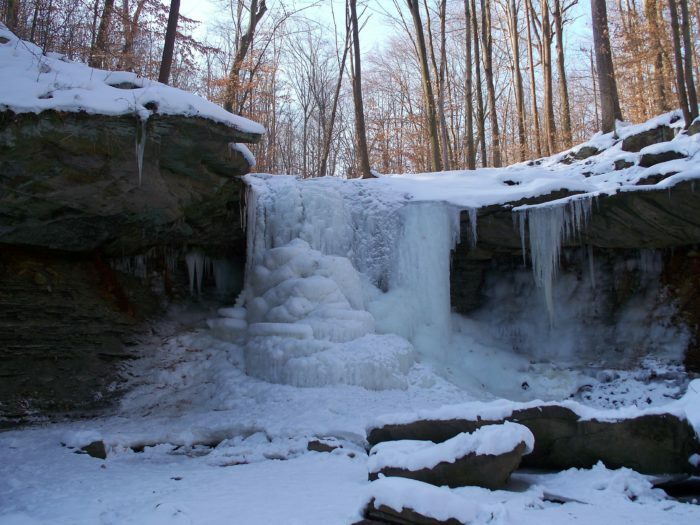 As you stroll along Blue Hen Falls Trail in the winter, you'll be rewarded to shimmering shades of white and reflected sky blue all across the landscape. 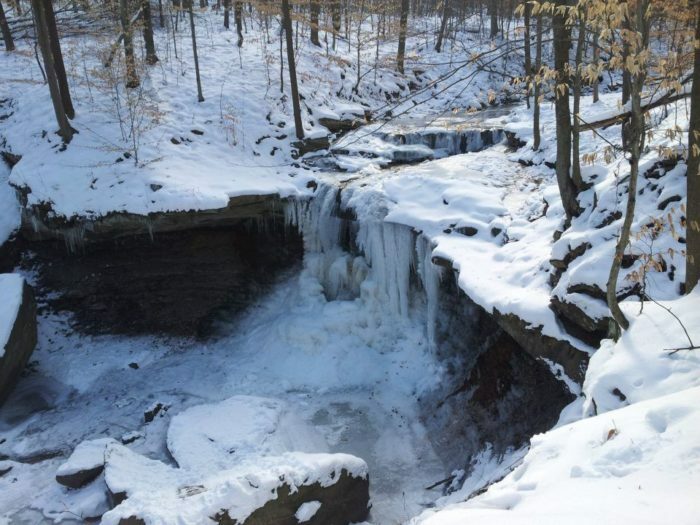 If you find yourself drawn in by this dazzling beauty, Blue Hen Falls Trail connects to the longer Buckeye Trail, allowing you an opportunity to explore this winter wonderland. 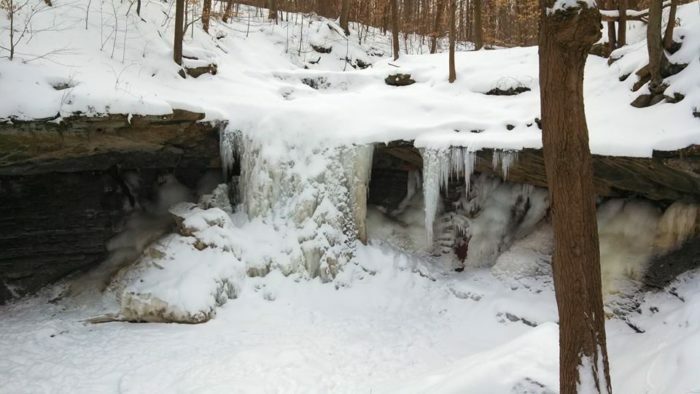 The rocky overhang of this little gorge almost forms an ice palace in the winter, and photographers are truly hooked on the beauty of this waterfall. 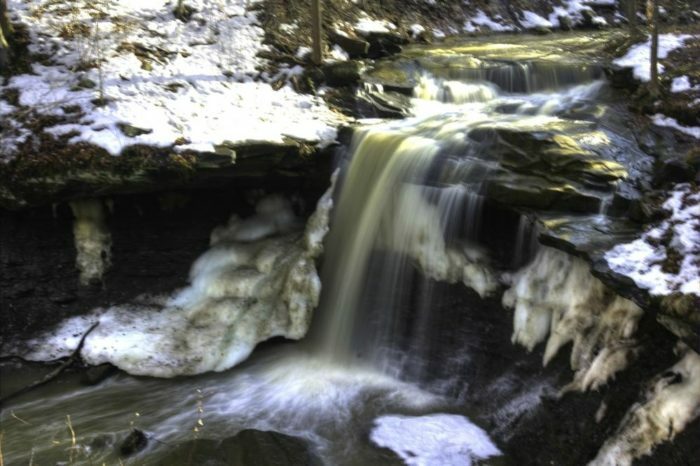 Though smaller in size than the nearby Brandywine Falls, this graceful trickle is truly a mesmerizing sight in the colder months. 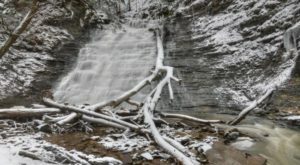 Though the falls are frozen, you will likely still hear the trickling of a defiant stream that refuses to freeze and the frequent chatter of birds and squirrels. ...Or just enjoy a quiet day with your best friend. 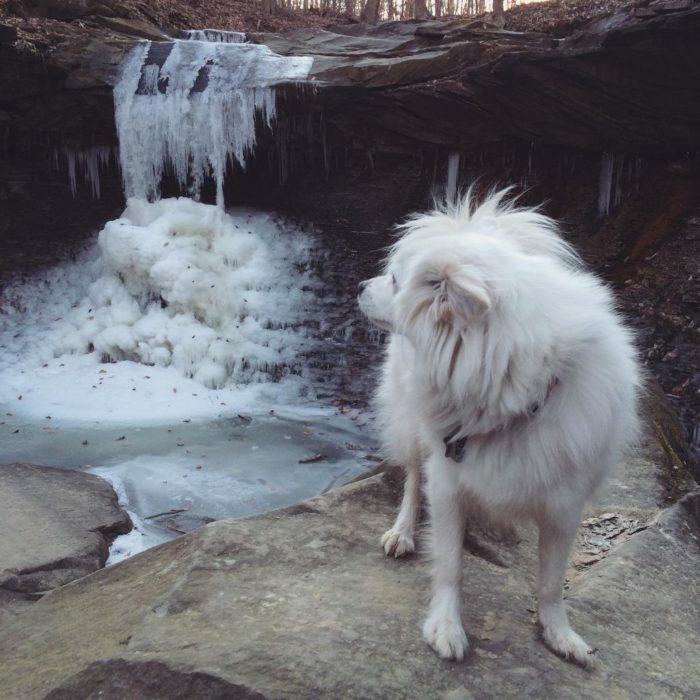 As Blue Hen Falls Trail is short and sweet, it's perfect for adventurous dogs and people alike. 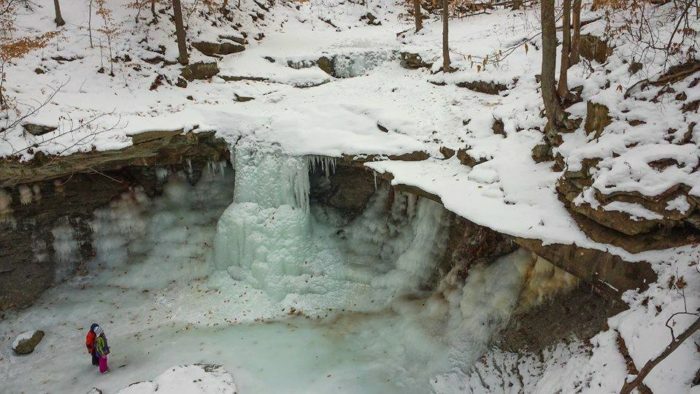 As we move deeper into Cleveland's coldest months, the landscape will only grow more spectacular and seemingly alien. The effect, as you've probably noticed, is downright enchanting. 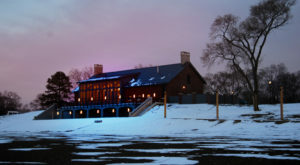 As this lovely park is so close to home, it is well worth a visit on pleasant winter days. 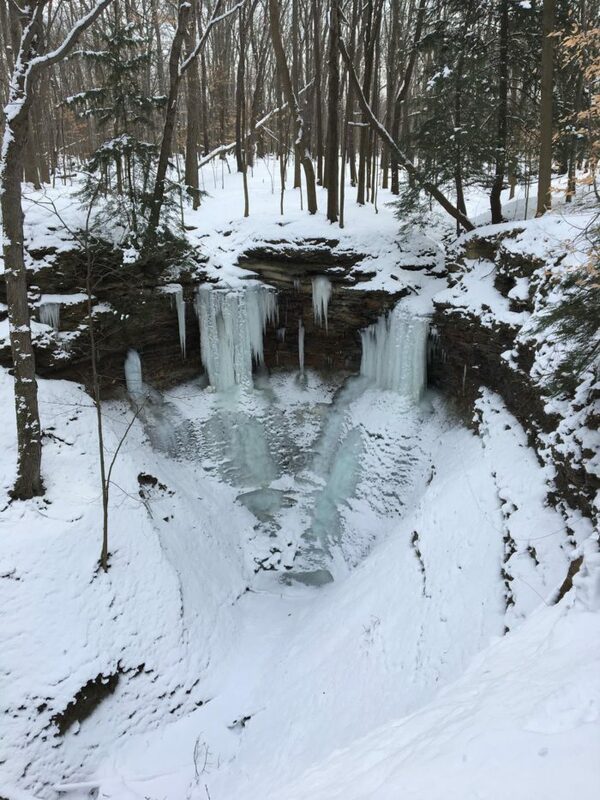 Cuyahoga Valley National Park’s many waterfalls are lovely all year round, but winter brings a special sort of magic to the landscape. 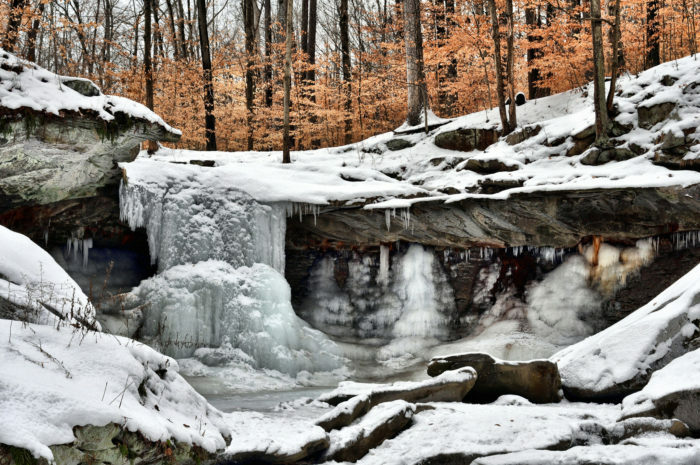 Waterfalls like Blue Hen Falls are absolutely transformed in the winter, and visitors are endlessly mesmerized. Have you taken any photos of this lovely waterfall? 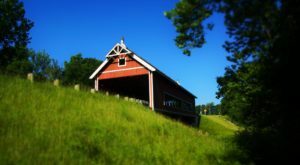 Share them in the comments below, or share your favorite site in Ohio’s only national park. 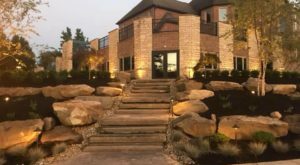 If you find this frozen waterfall enchanting, just wait until you discover these lovely ice gardens in Greater Cleveland.